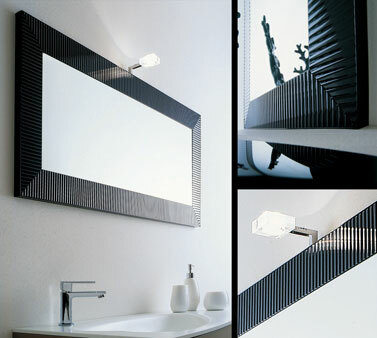 The Ebony illuminated bathroom mirror has an stylish hi gloss glass mirror frame in black which is rippled to create a calming light diffusion effect. * Black glass mirror frame. * With or without mirror light.